Autonomous Underwater Vehicle manufacturer, Bluefin Robotics, has demonstrated rapid growth within the over the last two years with the build of several new vehicles and the addition of a variety of development contracts to the company’s portfolio. Simultaneously, Bluefin has significantly invested in its production infrastructure and resource skill set, nearly doubling its factory square-footage and doubling its workforce. Bluefin Robotics develops, builds, and operates Autonomous Underwater Vehicles (AUVs), subsea batteries, and related technologies for defense, commercial, and scientific customers worldwide. 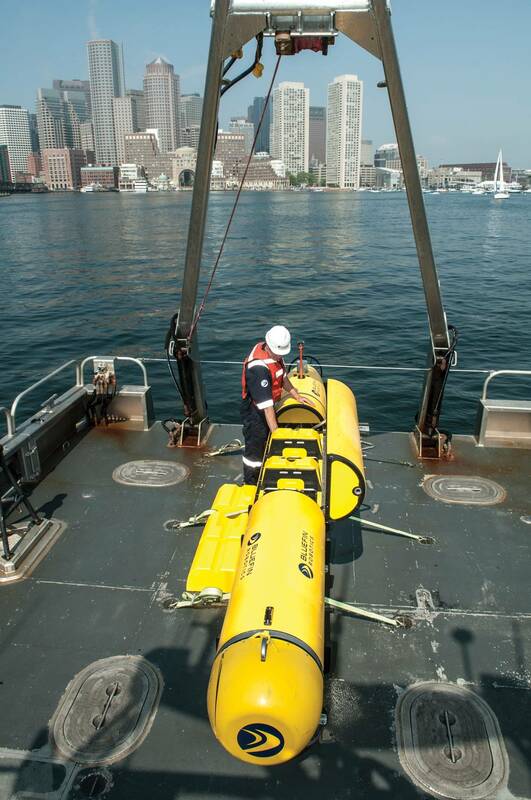 It offers a full range of modular, free-flooded AUV platforms. Using a core set of building blocks, it has designed over 50 different configurations. This includes over 70 different sensors on over 80 AUVs—far more than any other manufacturer. The Bluefin team brings a unique set of skills including hard-won expertise in the application of advanced materials, systems, and technologies to real-life operating conditions. It offers research and development capabilities, technology integration, full-scale manufacturing facilities, test and evaluation infrastructure, and customer support functions from training and marine operations to logistics and full life-cycle support. Headquartered in Quincy, Massachusetts, Bluefin’s 55,000-square-foot facility houses three floors of engineering, manufacturing, marine operations, and corporate administrative functions. With ample space for equipment and direct ocean access, we are able to design, build and test our systems all in a single location allowing our team to work efficiently and effectively. In 1997, Bluefin was founded by a core group of engineers from the Massachusetts Institute of Technology (MIT) AUV Laboratory, and in 2005 became a wholly-owned subsidiary of Battelle. Bluefin Robotics’ standard AUVs are flexible, modular systems that enable easily reconfiguration to meet varying and evolving needs. Each system utilizes field-replaceable batteries and removable data storage for efficient mission turnaround and can accommodate on-deck maintenance and repairs. Bluefin vehicles are stable platforms capable of highly accurate navigation, yielding quality data even at the greatest depth. The vehicle, batteries and support equipment can be broken down and packed into easily air-shippable sections, making the system ideal for time-critical and remote operations. Bluefin Robotics continuously advances the state of AUV technology through internal R&D funding as well as through several development contracts including those for the Hull UUV Localization Systems (HULS) production systems, Surface Mine Countermeasures (SMCM) UUV, and Deep Sea Operations Technology and System (DSOP) Development Program. Along with partners Battelle and The Columbia Group, Bluefin is developing Proteus, a large-diameter manned and unmanned vehicle that will function as a test bed. In July 2013, the team received an R&D 100 Award by R&D Magazine for the Proteus design. 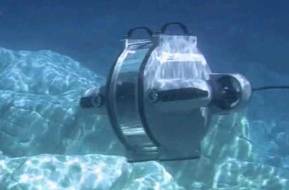 The company is also building its first prototype of a hybrid ROV called the Hawkes U-4000 ROV. The designs offer scalable, modular solutions including a thin fiber-optic tether and on-board batteries that will reduce the total cost of ownership/operating costs while simultaneously outperforming existing ROV technology. Lastly, Bluefin is engaged in several battery projects focusing on using the core components of its standard 1.5 kWh subsea battery for customer designs to support offshore infrastructure for the oil and gas sector.